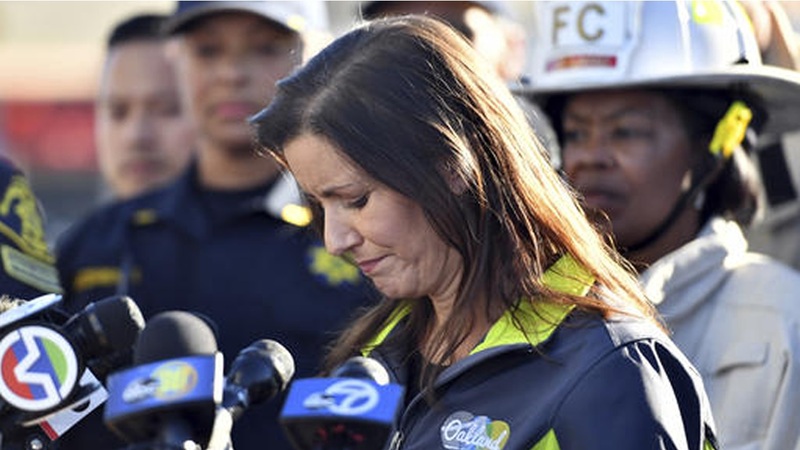 OAKLAND, Calif. (KGO) -- In an interview with ABC News, Oakland Mayor Libby Schaaf says she's ordered an investigation into the troubled history of the Ghost Ship warehouse. She said the investigation will include a complete review of all records of complaints. Schaaf said she wouldn't acknowledge that the building fell through the cracks and perhaps should have been shut down earlier. She's also say she has ordered an independent analysis into the city's handling of the building and others like it that may be out there. 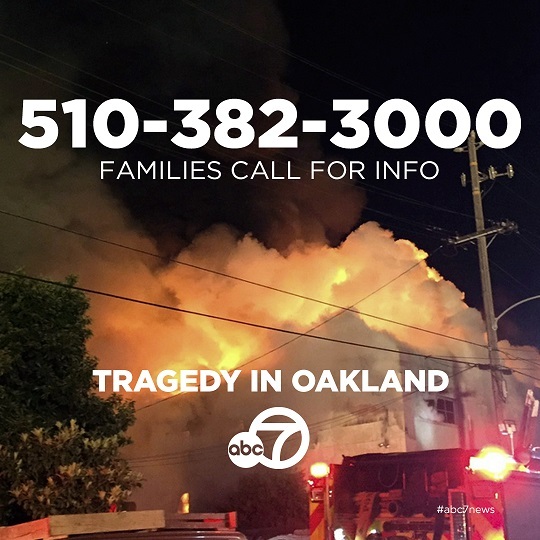 If you are trying to locate a loved one, or need information call 510-382-3000 for information. The Oakland A's professional baseball team also created a fund for victims and said they are matching donations of up to $30,000.